I use acrylic paints to create anthropomorphic characters. I use an acrylic thinning medium to achieve loose layers and a dripping effect. I paint on canvas, wood and metal. My paintings are oil on linen canvas applied by brush. Water Media on Aquabord - brushwork, splattering, pouring, spraying. Landscapes, cityscapes and coastal scenes - representational with vignetted edges bleeding into negative spaces. Chris Lundy is constantly evolving his technique of fusing color into multiple layers of resin. Lundy incorporated a 250 point, remote controlled fiber system into the painting to literally make the stars twinkle. Also exhibiting in Raitman Art Gallery in Breckenridge. I mix acrylic gel with my paint to create a very textured and modern interpretation. Other times I mix water with the paint and manipulate the paint with a spray bottle. Sizes small to very large. Contemporary, expressionist oil paintings, using palette knife,thick brushstrokes to create dramatic landscapes. 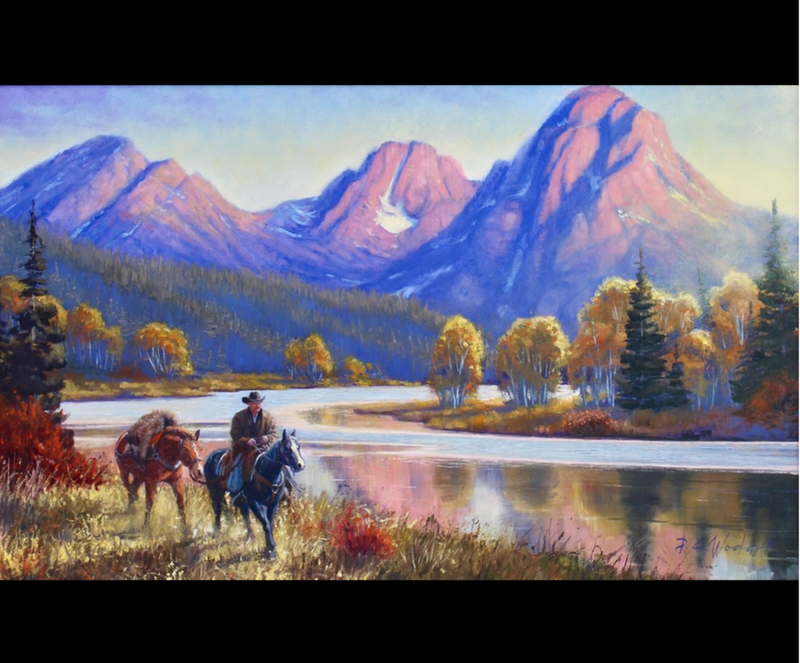 Prefer to paint the West, American Indians, cityscapes, boats and animals. Contemporary oil & acrylic, bold texture, rough brush strokes, vivid color, motion and movement.